Dr. John is a complete feeding stuff specifically for sporting & working adult dogs. 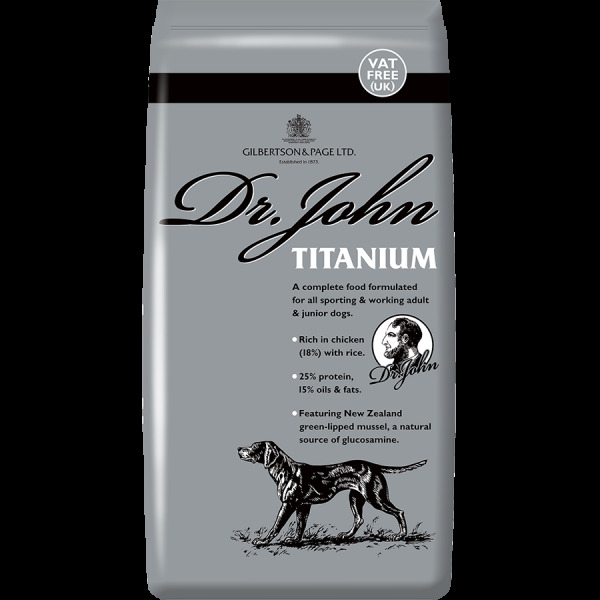 Dr. John can be fed dry, or moistened to the consistency that your dog prefers. When feeding for the first time it is suggested that you introduce the food gradually over a few days until it replaces all other dog food. The foods shown below are kept in stock but we can offer the full range of Dr Johns dog foods for you all at discounted prices, please call for details.